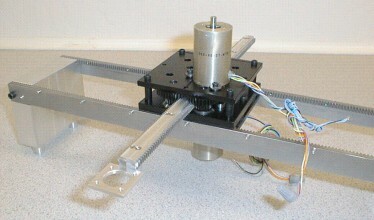 Linear actuators are an amalgamation of several different core technologies that are incorporated in a single product. That’s part of the reason that they are so confusing. The categories of core technologies are motive power, means of transmission, bearing technology, support and feedback. Not all are always present. Feedback and support may not be needed if you are doing a hydraulic system that simply opens and closes. Motive power means electric, pneumatic or hydraulic. Transmission means how is the power transferred to the load. In pneumatic and hydraulic systems, there is no means of transmission, because the cylinder and piston actuator that allows pneumatic and hydraulic to operate, is the means of transmission and the bearing system at the same time. Then there are belt driven designs, lead screw designs, and more recently linear motor designs based on electric motors for input power and control. But there are also pneumatic and hydraulic systems that do the same things. So navigating the technology decision is very difficult. But once in a while, something really different comes along. Solid Tech has a new solution that minimizes inertia mass, physical mass and system footprint to achieve payload to weight ratios approaching 1 to 1. Accuracy and power handling capability are parameters of design that can be manipulated for any given application. The US Patent Office has issued a patent so the technology is available for use. Check it out. It was a very nice idea! Just wanna say thank you for the data you have distributed. Just continue penning this kind of post. I will be your loyal reader. Gives Thanks again. thanks, I appreciate the feedback. I will try and keep in touch with new posts.